Do you know that oatmeal is an incredible cleanser for the skin? It has the ability to relieve itchiness, redness, dryness and minor irritations. It absorbs and removes dirt & impurities whilst exfoliating the skin gently without all the harmful chemicals (found in a lot of our skincare products). It also helps the skin to fight against free radicals because it’s so abundant in anti-oxidants. Result? Smoother, clearer and brighter skin. This article will go in depth with the benefits, uses, and reasons that you may want to consider using an oatmeal mask in your skin care plans. There are many benefits to using oats, perhaps the primary reason for this being a good choice is the fact that it is safe. It is very versatile, and can be used as facial scrubs, masks, exfoliants, and more. Can treat many skin irritations when used indirectly, such as adding it to your bath water. It’s cheap! No more spending loads of money on all these unsafe products that may cause more harm than good, as an oatmeal face mask can be used with household products. This is my personal favorite mask. Honey is a very good ingredient for homemade facials because of its anti-oxidant and anti-microbial properties. Along with the oatmeal, it can clear the skin of dirt and debris while also protecting it from the harmful elements of the environment. It also helps to hydrate dry skin. Cook, based on the instructions on the pack (just as if you were going to eat it for breakfast). Remove from the stove or microwave and allow to cool. Yogurt is beneficial to the body for many reasons. For this sake of this article, yogurt can be included in an oatmeal face mask recipe if you want silky smooth skin. It also works as a gentle cleanser in contrast to the rough texture of oatmeal. Use this oatmeal yogurt recipe for a variety of problems with your skin. Ground the oatmeal into a fine texture. Combine the ground oatmeal with the yogurt. Warm a metal spoon and add a few drops to honey to it. Mix this warmed honey into the concoction. Put the mixture on the face in a solid layer. Allow to set for 10 minutes, and then rinse with lukewarm water. Dry with a warm washcloth. Bananas are high in several essential vitamins that help keep the facial skin looking radiant and youthful. It helps to remove dead skin cells that could cause acne and also provides a bright complexion. Using this food in your oatmeal face mask recipe is very beneficial for many people. Mix the banana with the oatmeal. It may be easier to ground the oatmeal before combining, but that step is optional. Continue mixing until the oats are thoroughly moistened by the fruit. Put the mixture on the skin for 15-20 minutes, while lying down. Remove the mask with warm water and a clean washcloth. As you can see, it is easy to find an oatmeal face mask recipe, no matter your needs. Maybe you need to re-hydrate dry skin, create healthy skin care products, or thoroughly cleanse the face to prevent acne. 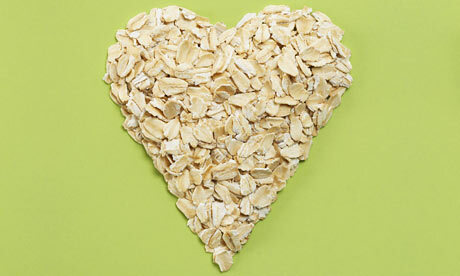 Regardless of your reasoning, oatmeal is a safe and beneficial ingredient for many homemade facials. Do try these amazing recipes and let me know if it works for you. I would love to hear you feedback and comments. You can make a refreshing face mask at home by using strawberries and corn starch. Strawberries will act like an antiseptic and is great for oily skin. Just mash strawberries and a fourth of a cup of corn starch together into a paste and apply to your skin. Wash off after about 15 minutes. It works great as a skin refresher; and smells great too!